The Hamas Movement hailed the European union for demanding its member states to prevent all financial transactions that support Israel's settlement activities in the occupied territories of the West Bank and Jerusalem. In a press release on Thursday, Hamas said that such EU position is a step in the right direction but insufficient to curb Israel's escalating settlement and Judaization activities. Hamas called on the EU and the international community to put more pressure on Israel and take strict measures against its settlement expansion. In a strongly-worded 15-page report released on Wednesday, the EU called for "ensuring that imports of settlement products do not benefit from preferential tariffs" and make sure that all such products are clearly labeled as originating from Israeli-occupied areas. Written by EU heads of mission in Jerusalem and Ramallah, the report makes nine recommendations on settlements, six of which are related to financial translations linked to or supporting Israel's ongoing construction in the occupied Palestinian lands. It also warned that EU programs should not be "used to support settlements and settlement-related activity, including funding for research, education or technological cooperation." The report proposed as well that the EU member states should raise awareness about "the financial and legal risks involved in purchasing property or providing services in settlements." Prepared by the European Union heads of mission to the Palestinian Authority, the report is a strongly-worded and very critical of Israel’s settlement activities in the West Bank and East Jerusalem. The draft, obtained by +972 Magazine and published here in full, is to be presented to the EU’s Political Security Committee (PSC/COPPS). Among its recommendations are preventing financial transactions that support settlements and informing EU companies of the legal and financial risks of doing business with and in Israeli settlements. The report was prepared in January 2013 and covers 2012. Read a news report based on the document here and an analysis of it. European diplomatic heads of mission in Jerusalem submit report to Brussels calling on the EU and its member states to take economic measures to stop Israel’s settlement enterprise, and to prevent European companies from supporting the settlements. European diplomats in the Palestinian Authority called on Brussels and their respective European states to take concrete measures to stop Israel’s “systematic, deliberate and provocative” settlement enterprise, including preventing economic and financial support for settlements – actions that could described as sanctions. The report, obtained by +972, describes Israeli settlements as “the biggest single threat to the two-state solution,” and recommends specific measures that Brussels could or should take in order to mitigate that threat. Two of the recommendations most likely to irk Israel, directly relate to the economic activities of European companies that profit from settlements. In addition to the standard practice of excluding settlement products from the free trade agreement between the EU and Israel, the report recommends “guarantee[ing] the consumers’ right to an informed choice,” asking the European Commission to provide guidelines on labeling of settlement products. The implication of this recommendation is that any EU-based company that invests in and provides services for settlements could be held legally (and financially) liable for supporting the illegal enterprise. While European companies like Veolia have long been targeted by activists for owning and operating land fills, waste-water treatment facilities and buses that serve Israeli settlements in the West Bank, implementing this recommendation would constitute a direct and official warning to similar companies by the EU itself. In addition, the report recommends that individual EU member states explore the possibility of denying entry to known individual violent Israeli settlers. 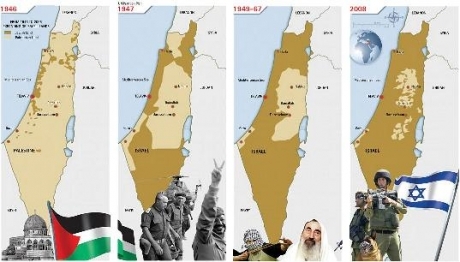 It also places particular emphasis on East Jerusalem and Israel’s settlement activities there, ranging from construction that aims to completely isolate East Jerusalem from the rest of the West Bank, to the use of archeological activities for furthering Israel’s political and ideological goals. The diplomats also recommend creating voluntary guidelines for European tour operators in order to ensure they do not intentionally or inadvertently support Israeli settlement activities in East Jerusalem, such as the City of David archeological park run by settler organization El-Ad. The non-binding report is not the first of its kind; a similar report last year carried many of the same recommendations, although they were fewer and not as harsh. Although the document reflects common thinking among European diplomats, lack of action by the politicians they work for is indicative of the political difficulties in applying serious pressure to further the EU’s foreign policy aims: ending Israeli settlement construction and achieving a two-state solution. The likelihood of Europe applying serious pressure against Israel based on this report alone, without the support of elected politicians, is close to non-existent. However, the mere existence of such scathing documents coming out of capitals that are traditionally supportive of Israel is in itself significant. Read an analysis of the report here. The European Union has recommended its 27 member states to "prevent" all financial transactions that support Israel's settlement activities in the occupied West Bank, according to an internal report on Jerusalem, revealed AFP. In its Jerusalem Report 2012, the European Union described Israel's settlement construction in east Jerusalem as "systematic, deliberate and provocative" and as "part of a strategy aimed at preventing the holy city from being divided and used as the capital for two states". The report, authored by EU heads of missions in Jerusalem and Ramallah, urged the member states to halt or avoid any financial investment or transactions which could directly or indirectly feed into Israel's settlement-building enterprise -- in an effective call for economic sanctions. It makes six recommendations on economic issues; suggesting member states "prevent, discourage and raise awareness about problematic implications of financial transactions, including foreign direct investments, from within the EU in support of settlement activities, infrastructure and services." EU diplomats flagged construction on the southern flank of east Jerusalem -- in Har Homa, Gilo and Givat HaMatos -- as being the "most significant and problematic". In 2012, tenders were issued for 2366 new units which was "more than twice" the total number issued over the preceding three years, the report said, noting most were for construction in Har Homa. It also highlighted Israel's plans to build 3,426 units in E1 -- a deeply sensitive strip of West Bank land east of Jerusalem, saying if implemented; it would threaten "2,300 Bedouin with forcible transfer" and effectively cut the West Bank in half. 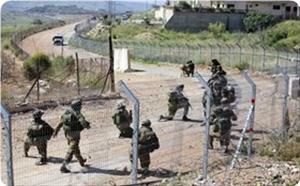 The UN chief said he was "following with concern" developments regarding Israel's plans for the area. The report stated that Ban stressed that Israeli settlements in the West Bank are illegal under international law and "repeated his call that any such settlement plans for E-1 must be rescinded." "In this particularly difficult period for the region, all concerned should make serious efforts towards creating the conditions for resumption of meaningful peace negotiations and to protect the future of the peace process, which is in danger," United Nations Secretary-General added. 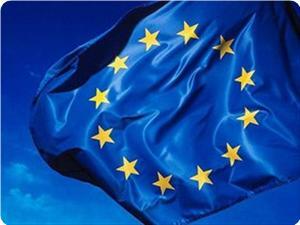 The Israeli settlement decisions raised European and American criticism. However, the United States prevented its condemnation in the UN Security Council, while the Israeli Prime Minister Benjamin Netanyahu said that his government will continue settlement expansion. For his part, MP Jamal Khudari the head of the Popular Committee against the Siege welcomed of the EU report. Khudari considered in a press statement on Thursday "this recommendation as a real step in the right direction, but still not sufficient in facing the Israeli attacks, the daily practices and the expansion and construction of new settlements. This requires taking an international firm stance and exercising more pressure to end the settlement activity." He called on the international community and the free people in the world to confront the settlement activity in order to stop it once and for all. Israel’s construction of Jewish settlements in East Jerusalem is a deliberate strategy aimed at rendering a viable Palestinian state impossible, according to an internal report from the European Union obtained by AFP. The Jerusalem Report 2012, written by the EU heads of mission in Jerusalem and Ramallah, urges member states to halt or avoid any financial activity that could conceivably contribute to Israel’s settlement construction. It effectively calls for economic sanctions on Israel. Settlement construction in East Jerusalem “is part of a political strategy aiming at making it impossible for Jerusalem to become the capital of two states,” the report said. “If the current pace of settlement activity on Jerusalem’s southern flank persists, an effective buffer between east Jerusalem and Bethlehem may be in place by the end of 2013, thus making the realization of a viable two-state solution inordinately more difficult, if not impossible,” it added. 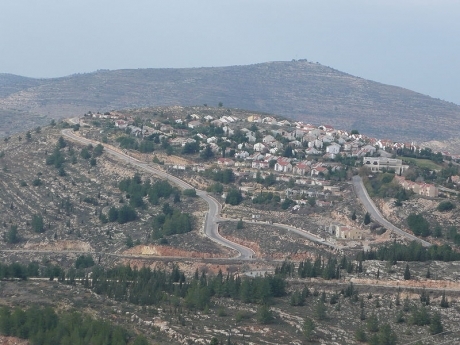 The settlements are almost universally seen as illegal under international law. A January United Nations Human Rights Council report reiterated the international consensus, that Israel’s settlement policies violate article 49 of the fourth Geneva convention, which prohibits the transfer of civilian populations to occupied territory. Careful observers have understood for a long time that Israel’s policies towards the Palestinians are carefully crafted in order to block Palestinian statehood and obtain the West Bank as part of the Jewish state. Israeli leaders deceitfully claim they are willing to negotiate peace with the Palestinians without preconditions, an attempt to condemn the Palestinian authorities as unwilling because they refuse to talk while Israel continues to steal more of their land. The United States, meanwhile, continues to support Israel unconditionally with billions of dollars in aid and weapons every year, thereby sustaining a system of apartheid and depriving Palestinians a state of their own. Settlement construction and expansion are continued at the entrance to the settlement of "Beit Haggai" south of al-Khalil since a few days ago, eyewitnesses confirmed on Tuesday. The sources told the PIC reporter that building works were reported in the settlement of "Beit Haggai", established on lands south of al-Khalil, where Israeli bulldozers and tankers were conducting expansion works at the settlement’s entrance. 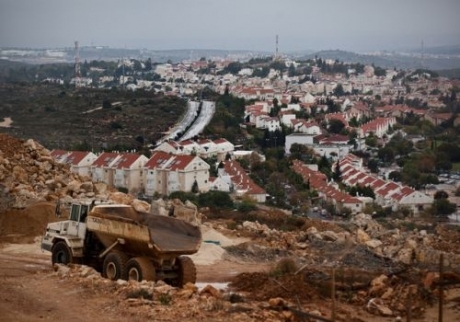 The occupation forces have stepped up settlement construction in a number of settlements in al-Khalil and Bethlehem in light of Netanyahu government's approval of hundreds of new settlement units. 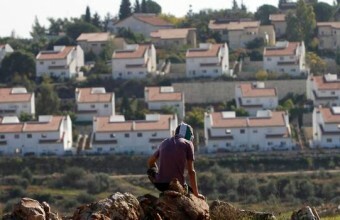 The Israeli civil administration of the West Bank has approved the construction of 60 new housing units in Beit El settlement near Ramallah, the Hebrew radio said on Tuesday. Ayelet Shaked, a member of the Israeli Knesset for the Jewish Home party, said in a press statement that freezing of construction in Beit El or any other settlement would never happen regardless of US president Barack Obama’s visit. Dr. Salem Al-Mutawar, a professor of political science in Al-Quds university, told the PIC that the decision to build the new housing units in Beit El was a political message to Obama. He said that the construction announcement one month before Obama’s visit was meant to embarrass him especially before meeting PA chief Mahmoud Abbas and to show him that settlement construction is a de facto condition that he should accept. Mutawar said that the Israeli right was trying to win the public opinion and was exploiting the Israeli left’s state of disarray. 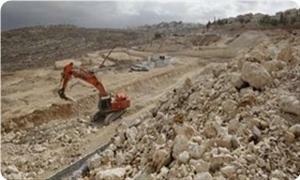 The Israeli war ministry has approved the construction of 346 new housing units in West Bank settlements. 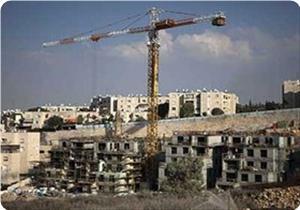 The Hebrew radio on Monday quoted the ministry as saying that 200 houses would be built in Taku and 136 in Nokdim. 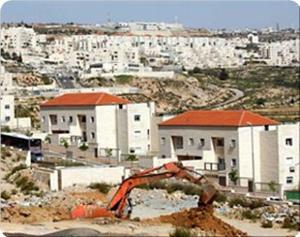 It said that the ministry had invited tenders last month for the construction of 200 other houses in Gush Etzion, near Bethlehem. Jewish settlements in the West Bank are deemed illegal by the international community since they are built in occupied lands. Peace Now, the Israeli Settlement watchdog organization, said on Monday, 11 February, that the Israeli Defense Ministry has given final approval to plans to build 90 new illegal housing units in the West Bank settlement of Beit El, near Ramallah. The plans to build in Beit El were put together as part of a deal between the ministry and settlers following the evacuation of nearby Ulpana settlement outpost after an Israeli High Court ruling ordered return of the land to its Palestinian owners. According to Al-Arabiya, a Civil Administration spokesman confirmed the approval for the 90 units, saying that the political establishment had signed off on the plans. “We’re talking about the validation of a project which was already approved in August ... in the framework of orders from the political establishment after the High Court decision,” he told AFP. The building of these new housing units comes while the Israeli government is still in the process of creating a new coalition government following recent elections and directly after US President Barack Obama announced plans to visit the region. One of the main items to be discussed during President Obama’s visit is the Israel-Palestinian peace process, and the building of settlements is among the most contentious issues in this discussion. Obama has previously called for a settlement freeze, although Netanyahu has not complied and eventually the Obama administration backed down from this stance. 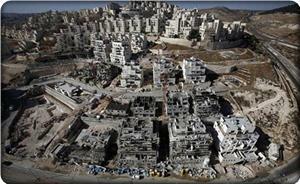 The construction of these settlements is illegal under international law. Israeli sources reported that the Israeli government of Benjamin Netanyahu is “weighing the possibility of a conditional, limited freeze” on settlement activities, as an act of goodwill towards the Palestinian Authority ahead of the planned visit of U.S. President Barack Obama to the region. The alleged “acts of goodwill” include a freeze on settlement activities in certain non-vital parts of the occupied West Bank, and the release of some Palestinian political prisoners. Israeli Maariv reported that the Netanyahu government is trying to avoid a tension with the U.S. Administration, and wants to avoid being pressured into “making concessions”. The New York Times reported that Israel will be releasing some Palestinian detainees, and also intends to grant the Palestinian Authority in the West Bank “full control” over certain cities and towns, in addition to the claimed limited freeze on settlement activities. The paper also said that political analysts and officials do not really expect Obama’s visit to achieve a real breakthrough in the stalled peace talks. It added that American and Israeli officials are trying to reach an agreement where Israel freezes its settlement activities, and in return, the Palestinians do not sue Israel at the International Criminal Court for its settlement activities. American Middle East Envoy, Dennis Ross, stated that Ramallah and Tel Aviv should be serious in trying to resume the peace process, and should stop blaming each other. The White House said that Obama does not intend to present a new initiative, and that his two-day visit will also include separate talks with Israeli and Palestinian officials, in addition to visiting the Holocaust Memorial, the Hebrew University, and will likely speak at the Israeli Knesset. Obama will also be heading to the central West Bank city of Ramallah to meet Palestinian President, Mahmoud Abbas. In related news, head of the Negotiations Department of the Palestinian Liberation Organization (PLO), Dr. Saeb Erekat, told the Palestine News Network (PNN) that no date was set for a trilateral summit between Obama, Netanyahu and Abba. Construction work was monitored at the outskirts of Kiryat Arba settlement to the east of Al-Khalil city, eyewitnesses told the PIC on Sunday. They said that trucks, loaded with cement and other construction material, were seen driving into the eastern areas of the settlement. The Israeli occupation authorities had endorsed the building of dozens of housing units in Kiryat Arba and Gush Etzion settlement bloc, to the north of Al-Khalil, over the past few weeks in line with the escalation in building and expanding settlements in the occupied West Bank and Jerusalem. Israeli Defense Minister, Ehud Barak, approved on Friday the construction plans of a total of 869 units in Jewish settlements in the occupied West Bank, the Palestine News Network (PNN) has reported. Israeli sources reported that Barak approved 146 new units that would be built in Nokdim illegal settlement in the Gush Eztion settlement bloc in the West Bank. Nokdim settlement is where former Israeli Foreign Minister, Avigdor Lieberman, lives with his family. Lieberman submitted his resignation in December after corruption charges were filed against him. Furthermore, Barak also approved the construction plan of 200 units in Tiqua settlement, built on Palestinian lands in the Bethlehem district. 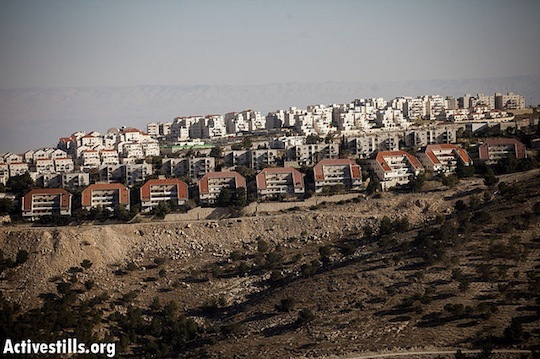 The new approval came after Israel approved, in December of last year, the construction of 533 units in Gavot illegal settlement, in the Gush Etzion settlement block. The construction plans are part of a larger construction plan that was prepared by the Israeli Housing Ministry 13 years ago, but the plan faced international criticism and was put on hold. Last week, the Israel announced bids for the construction of a Mall in Jabal Abu Ghneim (Har Homa) illegal settlement, in East Jerusalem. Also last week, Israel announced bids for the construction of 10 new units in Efrat illegal settlement in the Bethlehem District. 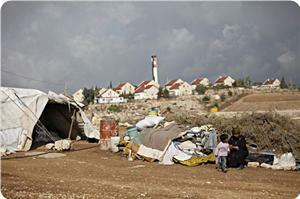 Israel’s settlements are illegal under international law and the Fourth Geneva convention to which Israel is signatory. Settlements and the Annexation Wall in the occupied West Bank, and in occupied East Jerusalem, are turning the occupied territories into isolated cantons. Also, Palestinian villagers who lost large areas of their farmlands are now isolated from what is left of their lands and require special permits from Israel just of enter their lands and orchards to plant or harvest them. In many cases, the needed permits were granted too late. The office of Israeli Prime Minister, Benjamin Netanyahu, stated Thursday that the new Israeli government, headed by Netanyahu, does not intend to change its policies regarding the construction and expansion of Jewish settlements. The office added that, at the current stage, Netanyahu will not even consider a freeze of settlement activities in the West Bank and Jerusalem. Also, Minister Dan Meridor, who will be leaving office, told the Israeli Radio on Wednesday afternoon, that by building and expanding settlements outside West Bank and Jerusalem settlement blocs, Israel harms its image around the world. Israel’s settlement activities top the list of violations that led to the collapse of peace talks between Israel and the Palestinian Authority in the West Bank. 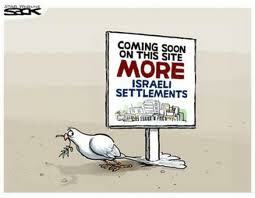 Settlements are also illegal under International Law, and the Fourth Geneva Convention to which Israel is a signatory. Other violations include Israel’s ongoing invasions, arrests, and Israel’s illegal policies of home demolitions especially in occupied Jerusalem. Israel is also refusing to hold talks on core issues such as borders, natural resources, and the Right of Return of Palestinian refugees. High-ranking sources in Israel's Prime Minister Benjamin Netanyahu's bureau denied that he is considering a freeze on settlement construction in an effort to resume negotiations with the Palestinians. The sources were responding to the statements of the National Security Adviser Yaakov Amidror who warned that settlement construction was causing Israel diplomatic damage. Amidror said in closed meetings in the Prime Minister's Bureau, "It's impossible to explain the issue of settlement construction any place in the world," he continued, "Construction in the settlements has become a diplomatic problem and is causing Israel to lose support even among its friends in the West." The sources in Netanyahu's bureau didn't deny that Amidror made these remarks, but said that these remarks represent Amidror's point of view and are not a hint that Netanyahu is considering a settlement freeze. Israel's Deputy Prime Minister Dan Meridor agreed with Amidror's criticisms and added, "I'm not saying we should stop construction in Jerusalem and in the settlement blocs, but we must not build beyond them, because by doing so we promote a very dangerous situation to Zionism, of one state from the Mediterranean Sea to the Jordan River, which endangers us more than anything else." Netanyahu and his advisers know that once the new government is formed, Israel will come under heavy international pressure regarding the Palestinian issue, and especially settlement construction. The national security adviser to the Israeli Prime Minister Benjamin Netanyahu says Tel Aviv’s settlement policy is a “diplomatic problem” in dealings with the regime’s Western allies. 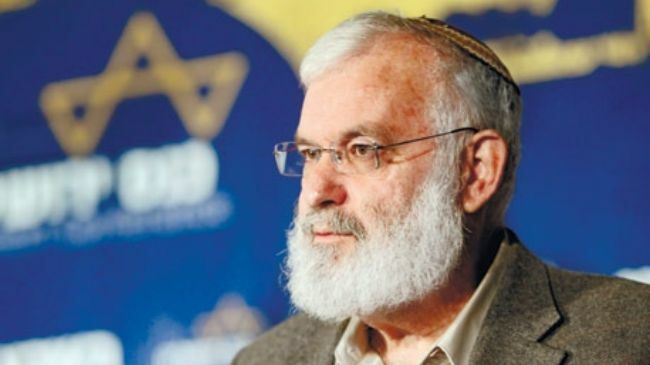 "It's impossible to explain the issue of settlement construction anyplace in the world," Ya'akov Amidror said during discussions in the prime minister’s bureau, Ha’aretz reported on its website on Thursday. "Construction in the settlements has become a diplomatic problem and is causing Israel to lose support even among its friends in the West," he added. The remarks come before Amidror's upcoming Washington visit, which will pave the way for US President Barack Obama’s upcoming visit to Israel. The Israeli cabinet announced in November 2012 that it plans to build more than 3,000 new illegal housing units in the West Bank and East al-Quds (Jerusalem), despite the objections of the international community. The move came in response to the Palestinians' successful statehood bid at the UN General Assembly, which upgraded Palestine’s status to non-member observer state. In January 2013, the United Nations asked Israel to cease all settlement activities without preconditions in compliance with article 49 of the Fourth Geneva Convention. 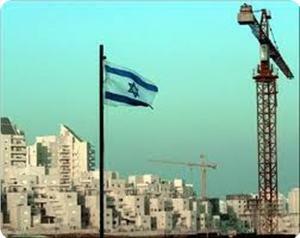 Tel Aviv must withdraw the Israeli settlers from the Palestinian land, the world body urged. The Israeli occupation authorities started building an electronic wall along the borders with Syria, a Hebrew newspaper paper said on Sunday. Maariv reported that the “smart wall”, which can track infiltrators, would be the most advanced in the world. The paper said that the wall’s construction cost is around 68 million dollars, adding that 60 kilometers of the border fence would be completed by mid-2013. Israeli military sources said that the decision to build the wall was taken late last year in view of the weak central government in Syria. 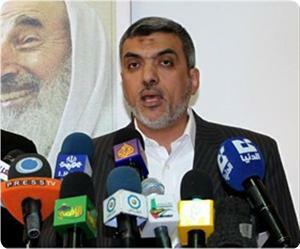 Political bureau member of Hamas Ezzet Al-Resheq has called for imposing punitive measures and reactivating international sanctions against Israel for persisting in its settlement drive in the occupied Palestinian land. Resheq said in a press release on Saturday that the world community should punish Israel also for its crimes against the Palestinian people, land and holy shrines. The Hamas leader lauded the UN Human Rights Council’s report that unequivocally condemned the Israeli settlement drive in the occupied Palestinian territories. He said that the council’s report was a step in the right direction to pressure Israel into desisting from further settlement activity. Resheq said, “We welcome all international political and human rights’ efforts that demand an end to the Zionist settlement activity, dismantling settlements, and evicting settlers in the West Bank and Jerusalem”. In another context, Resheq denounced the Israeli movie depicting the destruction of the Dome of the Rock in the holy Aqsa mosque and building the alleged temple in its place. The Hamas leader said that the movie, which he described as a crime, was no more than a dream that would never materialize. Resheq stressed that the Aqsa mosque is a red line, warning that Palestinians, Arabs, and Muslims all over the world would sacrifice their “souls and blood” for the sake of protecting it. Israeli war minister Ehud Barak has sanctioned the building of 346 new housing units in Gush Etzion settlement complex south of occupied Jerusalem. Gush Etzion Local Council Head Davidi Pearl told English-language Jerusalem Post on Friday that the construction plans were approved weeks ago. 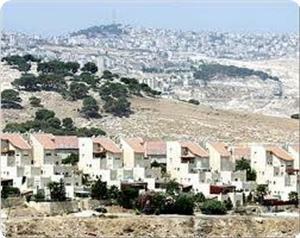 He said that 200 of those units would be built in Tikwa settlement while 146 others would be built in Nokdim settlement. The European initiative against the wall and settlements hailed the UN for demanding Israel to evacuate its settlements in the occupied Palestinian territories, and urged it to take action in this regard. Head of the European initiative Amin Abu Rashid stated on Friday that the report on Israel's settlement activities that was issued recently by the UN fact-finding mission to the Palestinian territories unequivocally confirmed the illegality of settlements according to international law and its negative impacts on the lives of the Palestinian natives. However, Abu Rashid said that the UN position is worth nothing in the absence of effective steps to pressure Israel into respecting the international law. He also stressed the need for not accepting any initiative or compromise except the removal of all settlements and the return of the annexed Palestinian lands to their rightful owners. Abu Rashid called on the European Union to necessarily use its influence to pressure the Israeli regime to remove its settlements and not accept them as a fait accompli. The fact-finding committee that was formed by the UN human rights council demanded on Thursday the Israeli occupation regime to remove its settlements in the occupied Palestinian territories and cease all its expansion activities, in compliance with article 49 of the fourth Geneva convention. "The settlements are a mesh of construction and infrastructure leading to a creeping annexation that prevents the establishment of a contiguous and viable Palestinian state and undermines the right of the Palestinian people to self-determination," the committee stated in its report. The report also urged the member countries to punish Israel economically for its actions in the occupied Palestinian territories with boycotts or sanctions. "The mission calls upon all member states to comply with their obligations under international law and to assume their responsibilities in their relationship to a state breaching peremptory norms of international law," the committee said in its recommendations. PLO Executive Committee member, Dr. Hanan Ashrawi, welcomed the report produced by the UN Fact-Finding Mission on Israeli settlements in occupied Palestine, describing its findings and recommendations as a "clear and unequivocal indictment of the illegal Israeli settlement policies and practices." Dr. Ashrawi said: "The report not only diagnoses such illegal behavior, it also provides conclusions and findings in addition to a legal context; furthermore it presents the illegal Israeli practices without any ambiguity. It provides conclusions and findings and what is required in terms of mandatory practical steps from Israel, the occupying power, and from the international community." Dr. Ashrawi continued: "All the Israeli settlement activities are illegal and considered to be war crimes according to the International Criminal Court's Rome Statute as well as the Fourth Geneva Convention. This means that Israel is liable to prosecution. The report reaffirms that Israel must end its illegal practices, including withdrawing their settlers from the State of Palestine immediately and without any conditions." "The report concludes that the goal behind the terror and violence of the Israeli settlers is to expel the Palestinians from their lands in order to expand illegal settlements; this is a clearly a form of forced transfer, and a proof of Israel's policy of ethnic cleansing." Ashrawi explained that Israel's rejection and boycott of the UN Human Rights Council is a clear indication of its persistent impunity and sense of entitlement and privilege. Instead of a critical examination of its own illegal actions that lead to its isolation and delegitimization, Israel chooses to blame international law and the international community. Any political initiative or plans to deal with the requirements for peace must be solely based on such legal foundations and international obligations if they are to succeed.